You know how it is when your trying to get whatever sorted in your head and your buzzin’ your proverbial’s off when you eventually get things done and eureka! Job Done and sorted and away you go chuffed to bits that you’ve done what you do by your lonesome. OK Let’s not get too carried away, after all it’s just a home grown, home made LibreOffice spreadsheet created by yours truly and you know what happens next for sure …. A few days later you decide to have another look see and of course your not quite happy at thy first attempt and decide to make a few tweaks just because whatever doesn’t quite do what you initially wanted it to do? Anyways, just letting you know about a slight change made over the last few days to the new Home Grown Journal spreadsheet and why so? 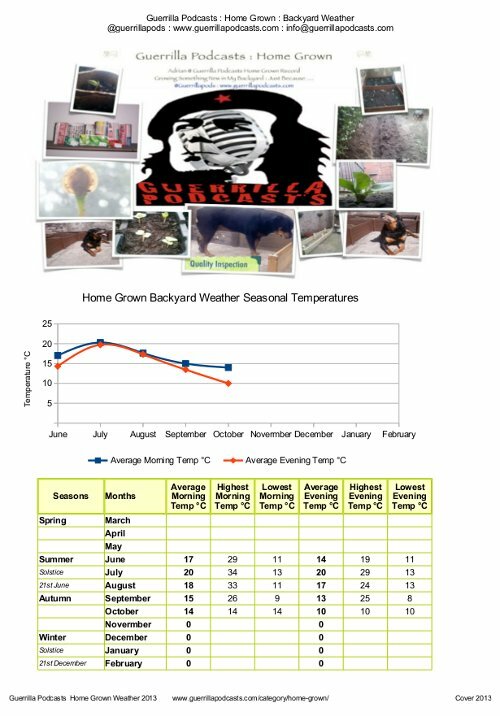 You may appreciate that I was trying to create a spreadsheet that would track the weather / temperature in the backyard for the whole year. 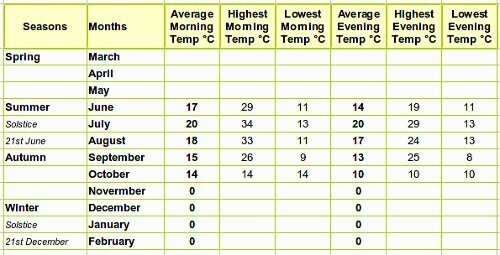 Starting from June I entered the info from the thermometer in the backyard as and when in the morning and evening whenever that may be. 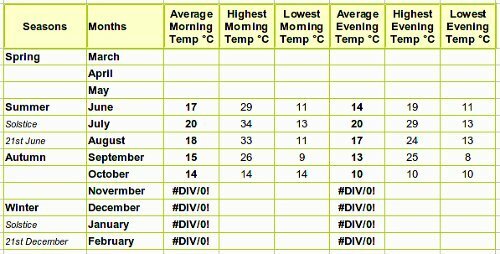 Of course you know time is relative, so if your up ‘n’ about at 7 that be morning then again morning could be 3 in the afternoon, suppose it all depends on your thought process, what shift your on or when you happen to clock the temperature as and when you get up. Of course that worked and created the results that i wanted. However I’ve now decided to add a cover sheet to automatically show the results for the whole year and when i shared the results for November and December etc I would get an error message as there was no entry at all for those months the error message was replicated on the cover sheet created. That was battering me head this morning, as it meant that i couldn’t share the spreadsheet with whomever, just because i didn’t like the message blah blah blah. Anyways, after a few tweaks, several coffee’s and more than a few tests, I decided to change the code that could ultimately change the entry to text or zero / 0 or whatever. I knew that i had to use an IF statement! Getting it sorted took a while, but at the end of the day. This is the solution that worked for yours truly. So that means I could change the text “Put Whatever Here” to 0 / Zero / Work in Progress or whatever. I Decided to go with 0 for the now, whilst you could go with the flow and add whatever your heart desires. So the last thing on the list of things to get sorted on the spreadsheet, is to have a look see if I can change the image that I’ve added on the cover page to an image space / container which could possibly allow me to share this here spreadsheet for you to use and do whatever, should you so wish? More to follow me thinks over the next few months, so for the now. After Tweaking the tracks of the Home Grown Journal pdf. Here’s the new journal link: New Home Grown Journal pdf. Sorted and Cheers Wherever thy maybe.